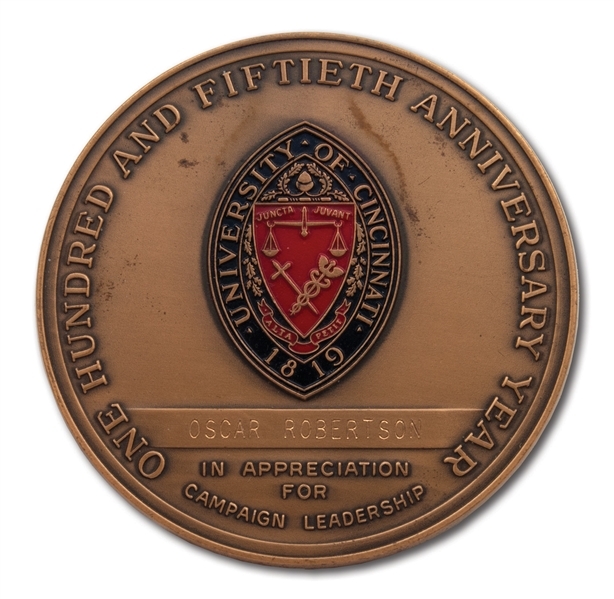 This impressive medal was presented to Oscar Robertson by his alma mater, the University of Cincinnati, during the school’s 150th anniversary in 1969. The medal (most likely made of bronze due to its weight of 7.2 oz. ), measuring 3” in diameter, was awarded to Robertson for “Appreciation in Campaign Leadership” and features the school crest in red and black on the obverse along with “OSCAR ROBERTSON” engraved below. 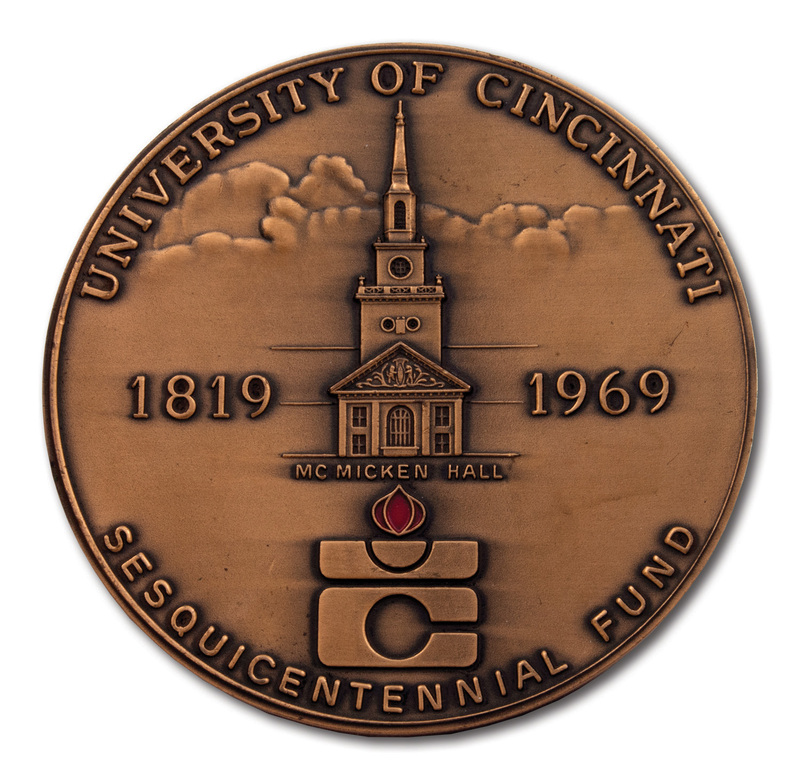 The reverse shows McMicken Hall and the school logo along with “1819-1969.” The medal shows light wear and displays exceptionally well. Includes LOA from Oscar Robertson.